Transport Minister G.S. 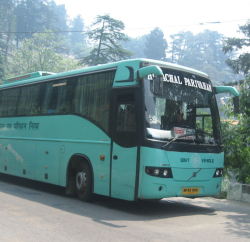 Bali informed that the Government of India had approved the project submitted by the Himachal Road Transport Corporation (HRTC) under JNURM for purchase of 800 buses and ancillary infrastructure. 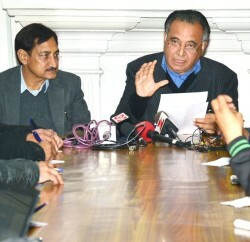 Bali, in his press communiqué, stated that he had met Dr. Sudhir Krishna, Secretary, Ministry of Urban Development last week and had requested him to expedite sanction of the project. Bali further revealed that under the project 800 buses would be purchased and about Rs. 70 crore would be spent in upgradation of workshop infrastructure, installation of modern IT infrastructure and upgradation of bus terminals. He said that with approval of the project, the transport services in the State would get strengthened. 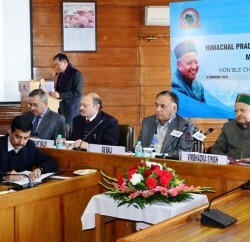 Transport Minister informed that a national level conference on the latest technological developments in workshop management and IT infrastructure would be held on 28th and 29th May, 2014 in Shimla in which major manufacturers of buses and IT experts would participate along-with officers from Ministry of Urban Development.